Celebs are there to entertain us, mostly with music or movies, but they can be funny in many ways. For example, by putting on a fake moustache, at least it puts a smile on my face! What do you girls think of these celebs? Who looks the best with a fake moustache? 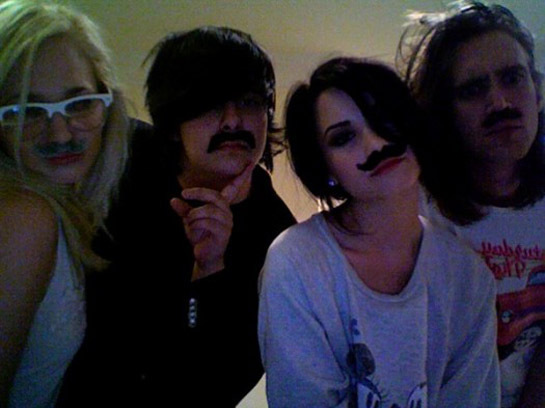 Demi Lovato also tried on a fake moustache, together with some of her friends, do you like it? 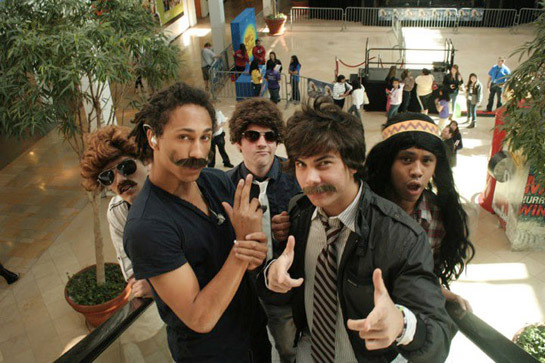 All Star Weekend wearing moustaches is also funny, do you even recognize them? Who looks the best with a fake moustache? Miley!! Her face is so funny in that photo!! I Love Ir JUSTIN BIEBER!!! Justin is so precious that nothing goes wrong! I Be Fans More Bigger in Argentina!!! I LOVE YOU JUSTIN BIEBER, YOU ARE MY WOOORLDD!!! Miley!! Mil veces Miley! Ella es la mejor! Siempre lo fue y lo sera!! a Miley ta muito fofa com o bigode fake. MILEY 100% Odio a justin GEYber!!!!!!!!!! I diddent know mileys mustash was fack!!!!!!!!! All Star Weekend was the best they are SOOO funny!!! am 8 ani ma numesc magdy.